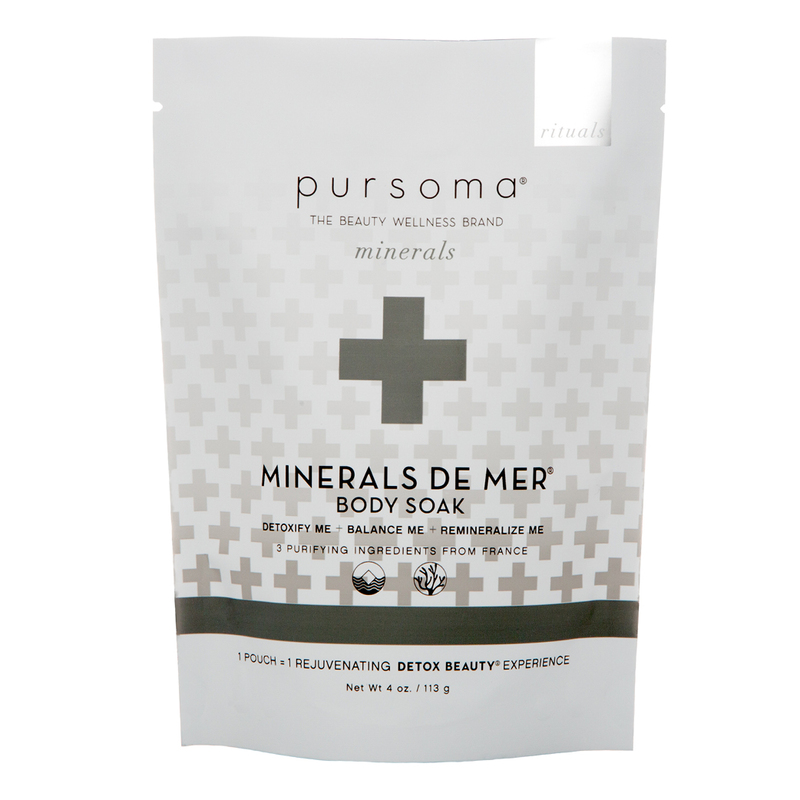 The Minerals De Mer Bath by Pursoma provides a relaxing sensation, while lending a feel of detoxification, Sea minerals from French grey sea salt and wild-harvested seaweed provide a feeling of instant relief of sore muscles, specifically after travel or intense exercise. Your skin will feel super soft from the sustainably farmed Spirulina. With routine use, the appearance of your skin and body will reflect a quality of optimal health and vitality. As a pre- and post-soak ritual, drink 8-16 ounces of purified water. Fill your tub with warm water. Sprinkle the entire contents of the packet and stir the bath to ensure the salts fully dissolve. 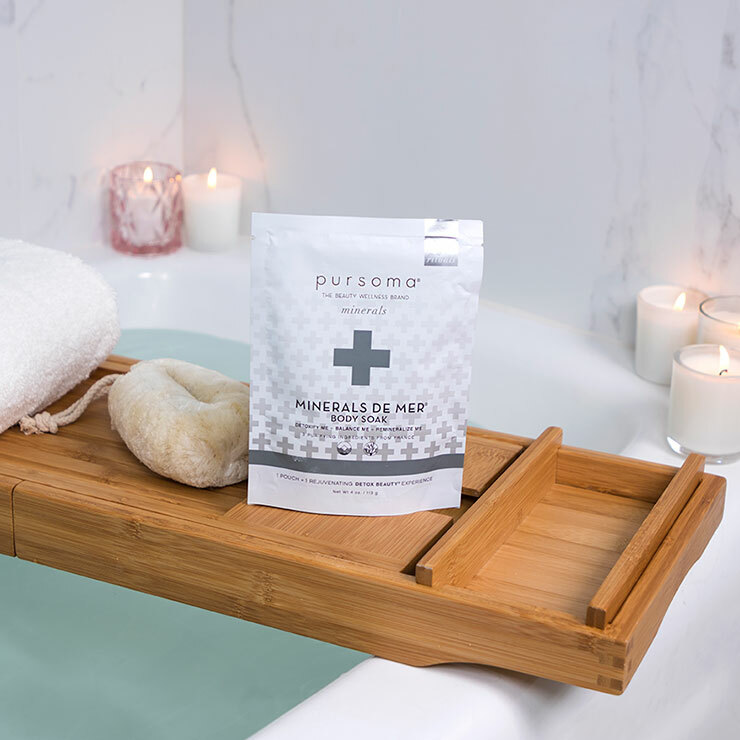 Hop in the tub, immersing your body for up to 30 minutes and keeping water at a consistent temperature. Relax while the algae goes to work. Emerge from your soak and towel dry. Do not rinse – algae can remain active for 12 hours. Immediately wrap yourself in a towel and “Sweat and Rest” under a warm blanket for 15-30 minutes while the algae provides a feeling of purity. Towel dry. Relax or sleep. For best results, use two times per week; may also be used daily.